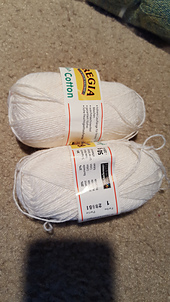 41% wool, 34% cotton, and 25% nylon. 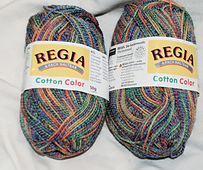 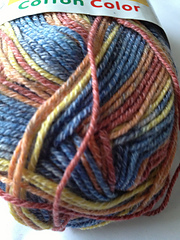 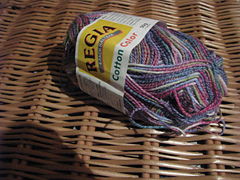 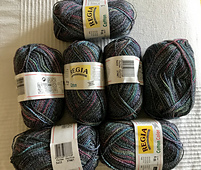 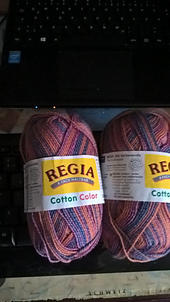 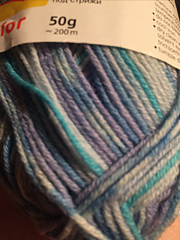 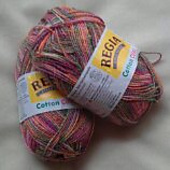 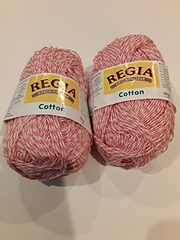 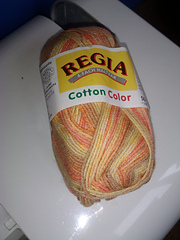 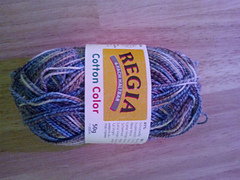 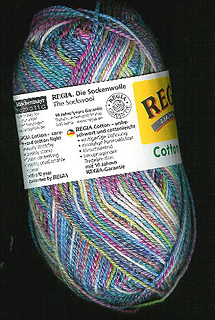 This is Regia’s multi-colored cotton-blend sock yarn and it was also available in 100 gram (435 yards) skeins. 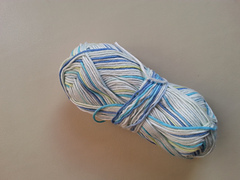 Machine wash warm, tumble dry low, low iron heat.